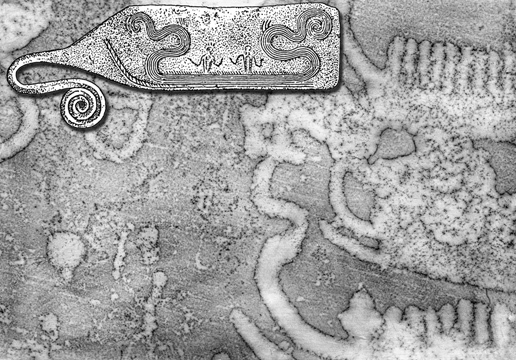 Scandinavian Bronze Age rock art represents a unique contribution to prehistoric culture, and tens of thousands of localities are known in Sweden, Norway and Denmark. Cup marks are the most common rock art symbol in the Bronze Age (1700-500 BC) and Pre Roman Iron Age (500-0 BC), on the second place come ships which are depicted during the full length of the period. This means that it probably was an important symbol. This is shown by earlier research and it has been suggested that it probably indicates a society based on maritime mobility. This is in great contrast to older research where you traditionally only saw the Rock Art as picturing agricultural religious beliefs and ceremonials. 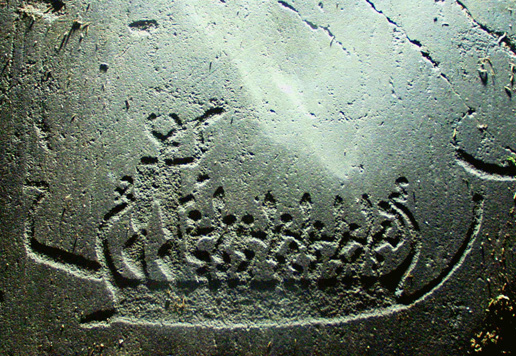 Depictions of ships comprise over 25% of the Danish rock carvings excluding cup marks, while the corresponding huge amount of ship figures for Sweden and Norway are about 50% and 60% respectively. Ships are also portrayed on bronze artefacts, such as i.e. 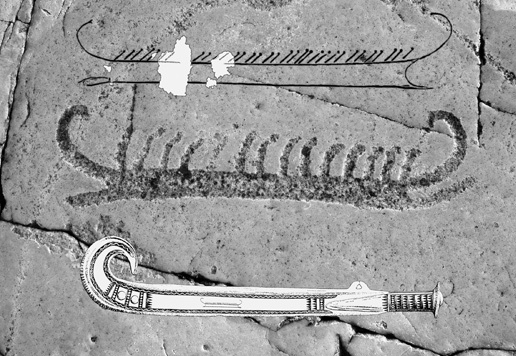 razor blades, an important source for dating Rock Art. 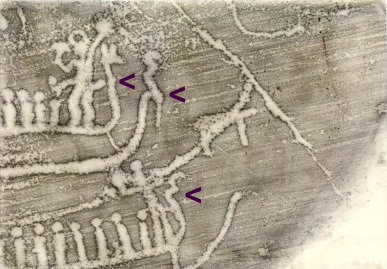 This shows of a para­mount importance and interest in the ship, something that separates them from contemporaneous Rock Art areas in the rest of Europe. Left One – among thousands of ship images in Scandinavia. Tanum, Sweden. Photo: G. Milstreu. 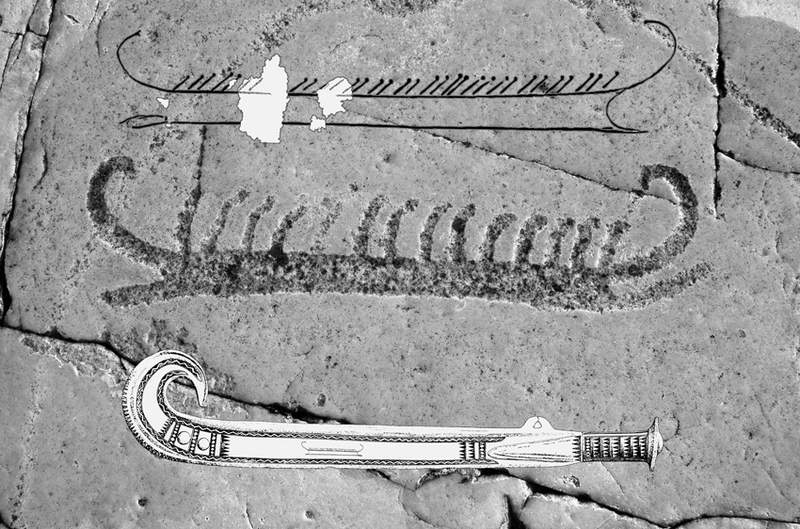 Right Drawing of the bronze sword with a ship engraving from Rørby, Denmark dated to Period I of the Early Bronze Age, 1600 BC Period 1. It forms a chronological basis for typological dating (after Aner & Kersten). Photo: Ship image Period !. Simrishamn, Sweden. Photo: G. Milstreu, F. Kaul. In this material one can clearly see that a huge number of ship carvings have been changed during prehistoric periods. They have been fully or partly re-cut or “updated”, as it is called here. This update can mean that the ship motifs are supplied with details and/or changed in shape. 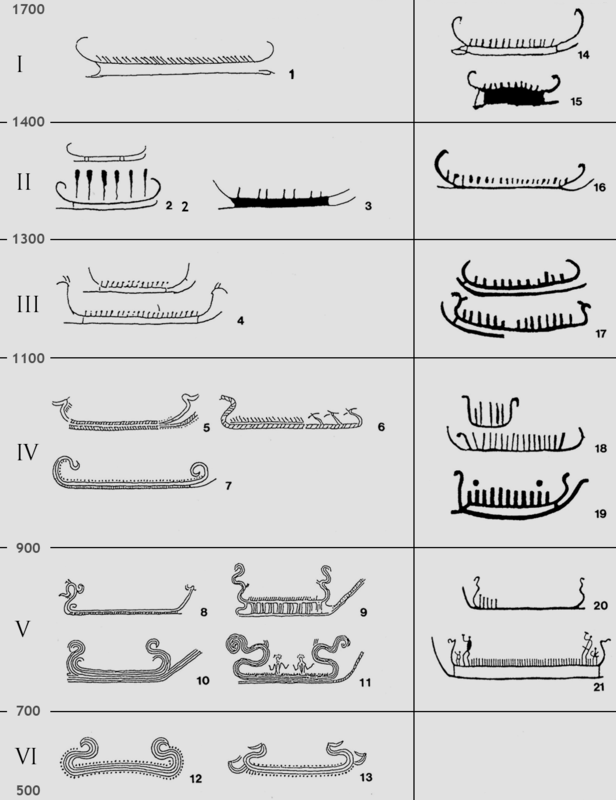 Ships from Early Bronze Age (EBA 1700-1100 BC) are “updated” to Late Bronze Age style (LBA 1100-500 BC), by changing and/or adding new details. In order to make the ships look like last “trend” so to say. Left Razor: Ship with s-shaped prows, representing stylized horse heads. Razor from Denmark, dated to Period V, 900-700 BC (after Sprockhoff). 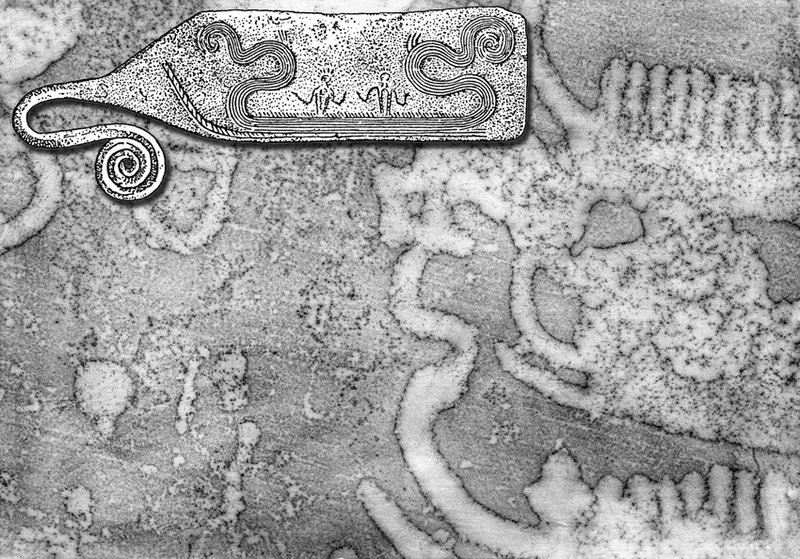 Rubbing: Ship image created in Period I, 1700-1400 BC, updated with s-shaped stem during Period V, 900-700 BC. Balken, Sweden. Photo: G. Milstreu. Right Ship image created during Period III, 1300-1100 BC, supplemented with s-shaped prow during Period V, 900-700 BC. Sotetorp, Sweden. Rubbing: Tanum Rock Art Museum, Underslös. 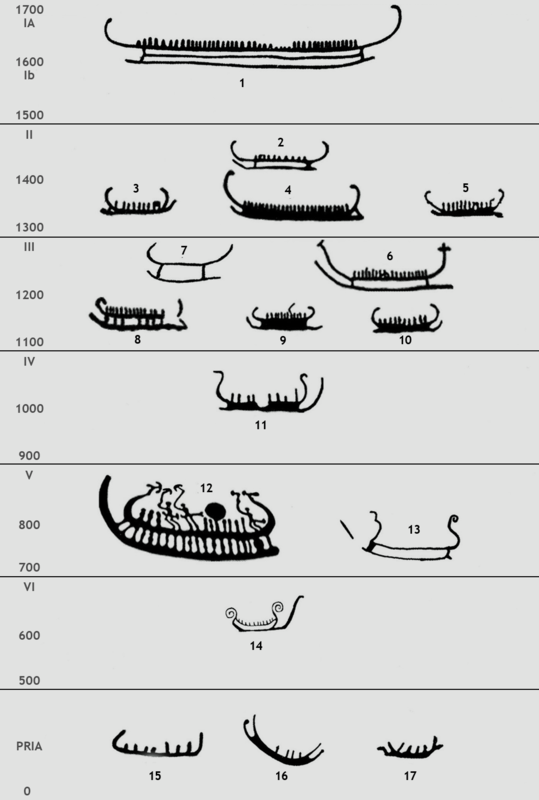 Diagram showing the chronological-typological development of Nordic-Bronze-Age renderings. Left column, datable ships. Wright column ships on the rocks which can be dated by analogy with the ships on bronzes, left. After Kaul 1998. Measured ship depictions in relation to shore displacements. After Ling 2008.